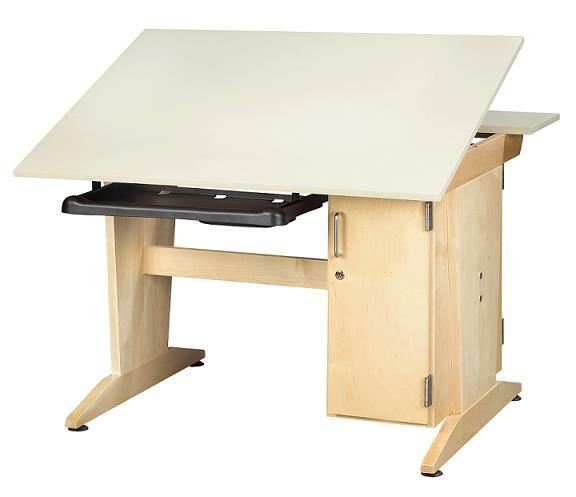 The Art and Drafting Vertical Tower Computer Table by Diversified Woodcrafts has solid maple pedestal legs that support this sturdy table. The drafting table has a 42"W x 30"D drawing surface and a 9-7/8"D x 42"W reference area. Vertical tower model includes the table only. Other options include 2201-42 Parallel Straight Edge Ruler and VBC44-5 Vyco Board Cover.